Boasting a prize location within walking distance of North Essendon Village, Keilor Road shops, trams, local schools and parks, this sensational two bedroom, two bathroom apartment offers deluxe living in a secure and sophisticated complex. Entry via secure foyer with lift access to this 2nd floor gem, distinguished by a modern monochrome statement that will complement any decor. Entertain in style with an expansive open plan lounge/dining/kitchen area fitted with stone benchtops, glass splashback, abundant cabinetry and stainless steel Blanco appliances including 600mm gas cooktop, rangehood, oven, and dishwasher. An undercover balcony expands the living zone, with convenient dual access from the master bedroom. Both bedrooms are fitted with BIR’s and are well serviced by luxury bathrooms with fully-tiled double showers and heated towel rails. 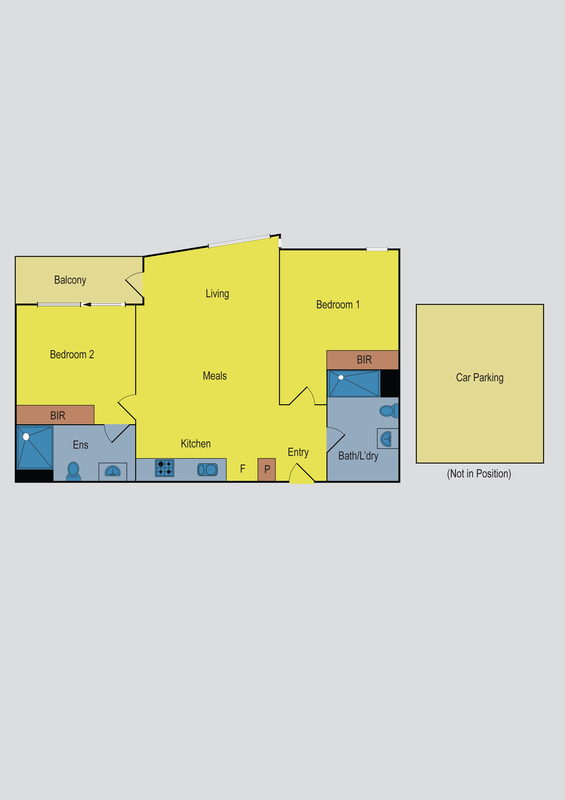 Includes a secure parking space, storage cage, security intercom, split system air conditioning, and European laundry. Proximity to freeways, Essendon DFO and Woodlands Park classify this apartment as a prime investment.